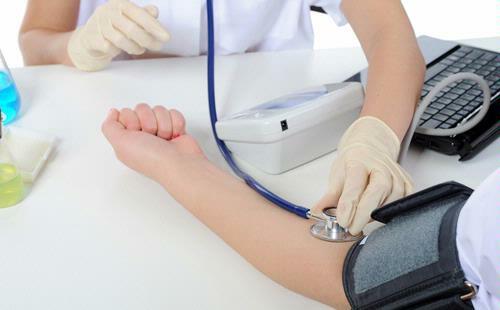 A new study shows that women with high blood pressure (hypertension) in the earlystages of pregnancy are more likely to have babies with birth defects, whether theinfluence of drugs he was taking antihypertensive medication or not. These findings indicate that hypertension as the main underlying cause of birth defects, while the use of antihypertensive medication in early pregnancy canincrease risk of birth defects. Angiotensin-converting enzyme (ACE) inhibitors are a type of antihypertensive drugs are often prescribed to treat hypertension. These drugs have toxic effects on the fetus in the second or third trimester. But, how it affects the drug effect on the firsttrimester fetus is not yet clearly known. Dr. De-Kun Li of the Kaiser Foundation Research Institute in California, UnitedStates doing research to see whether a relationship exists between the use of ACEinhibitors with the risk of birth defects during the first trimester. They 465 754 data pairs of mother and child study at Kaiser Permanente Northern California betweenthe years 1995-2008. The analysis showed that women receiving ACE inhibitors during the first trimesteris more likely to have a baby with a form of birth defects compared with women who are not hypertensive or have never used any form of antihypertensive agents. However, a similarly high risk in women who use other antihypertensives and those with high blood pressure, but not taking antihypertensive medication. “Our findings suggest that hypertension as a major cause of birth defects. While the use of antihypertensive medication in the first trimester increases the risk of birth defects in children,” the researchers conclude.